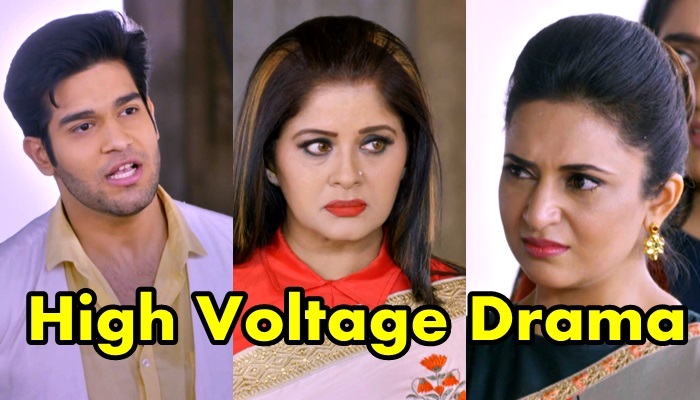 Bhalla family is torturing Rohan and Karan and Sudha (Sudha Chandran) couldn't see it and finally takes a step against Bhalla's. Sudha tries to trap Raman Bhalla in police case and asks her to leave Rohan and Karan in return of this case. While Raman and Ishita (Divyanka Tripathi) are well prepared and knows how to deal with Sudha and flops her plan and now Sudha comes up with yet another plan. Karan enacts to faint and thus Bhalla's rushes him to hospital where Sudha and Rohan bribes doctor to make Bhalla's believe that Karan's condition is critical. Ishita is herself a doctor and knows what is right and how patient is and thus asks doctor to give injection to Karan and thus Sudha (Sudha Chandran) couldn't let wrong injection be given to Karan and speaks out her truth.